Supercritical Fluid Technologies’ contract research program offers a range of services from simple feasibility studies to advanced method (process) development projects, and small scale material processing. Often a “proof of concept” can be demonstrated in our laboratory for a nominal cost. This kind of information, real data about your materials, is vital to making decisions and commiting resources to a project. Basic feasibility studies typically consist of several experiments and will require one to four days. 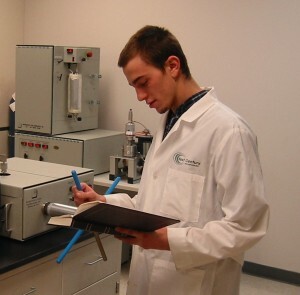 The purpose of a feasibility study is to determine whether a supercritical fluid technique is appropriate and can be applied successfully for a specific material or class of materials. Phase 1 and Phase 2 method development goes beyond the initial feasibility study where detailed processing parameters are optimized for a given product. When this development work is completed, larger amounts of materials can be produced for comprehensive analysis, clinical trials, or marketing purposes. 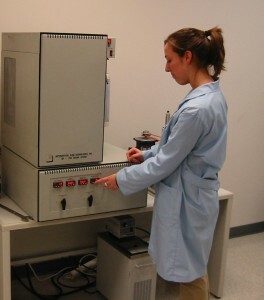 Lab scale material processing is an advantageous option when a material is required on an infrequent or one time basis. SFT provides toll processing services for small batches of materials (several liters or kilograms per run). When experimental work in the laboratory is successful, the data obtained is often used as a primary consideration in the justification for purchasing supercritical fluid processing equipment. As a manufacturer of SFE/SFR equipment, Supercritical Fluid Technologies can provide the equipment necessary to transfer what is learned in our lab, to your lab and ultimately to your production site. As an additional benefit, SFT provides up to a 50% credit towards the purchase of equipment. All experimental work performed in Supercritical Fluid Technologies’ laboratory is carefully supervised by the company’s research director, Dr. Kenneth James. 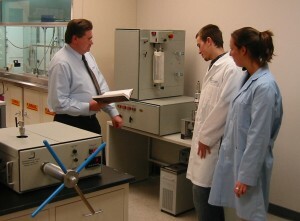 Dr. James earned his doctorate from the Department of Chemistry and Biochemistry at the University of Delaware. He has over 18 years of experience working with supercritical fluids. While at SFT, he has obtained several patents and has written numerous papers on SFE, SFR, SF phase studies and material solubilities in supercritical fluids. SFT’s laboratory is equipped with SFE/SFR equipment, high pressure chemical reactors, and SF view cells. The laboratory is located in Newark, Delaware.